Proverbs 3:5–6 – “Trust in the Lord with all your heart, and do not lean on your own understanding. In all your ways acknowledge him, and he will make straight your paths. Verse 1. Heart. In Hebrew thought, the heart refers to more than just emotions; it includes the totality of the human person: mind, spirit, will, and affections. Verse 18. Tree of Life. This is a metaphor of blessings both in this life and the next. Wisdom is foundational to all of life, so foundational that Solomon describes it as that with which God created the world. Wisdom should be the pursuit of all of God’s people. In order to truly know God, we must involve the entirety of who we are in our pursuit of his wisdom. With a biblical understanding of “heart,” what does it mean for our hearts to keep God’s commandments? What does God’s discipline toward his people reveal? How is wisdom more precious that material wealth? Verse 4. Bless. Despite God’s message to Rebekah that the older would serve the younger (25:23), the fact that Esau had given up his birthright for a meal (25:33), and Esau’s terrible marriages (26:35), Isaac nevertheless determined to give him the birthright blessing, as was the custom. Verse 27. Blessed. Jacob received Isaac blessing, but this came at great cost. Jacob never sees his mother again and endures a life full of family conflict due to his deception. Who is “the Israel of God” in Galatians 6:16? Verse 40. Break his Yoke. The Edomites, descendants from Esau, continually fought against Israel in later history, occasionally freeing themselves from Israel’s control. Scripture later references this account of Isaac’s blessing upon the younger son as an illustration that God’s mercy is not based on family lineage, custom, or good works, but rather on the sovereign, wise choice of God himself (See Malachi 1:2–3; Romans 9:13). Jacob certainly did not deserve the inheritance, but God chose to make him the heir and father of his people against normal expectations. God says, “I will have mercy on whom I have mercy” (Romans 9:15). Why do you think Rebekah wanted Jacob to have the blessing from Isaac? Was it right for Rebekah and Jacob to deceive Isaac since God had told Rebekah that Jacob would receive the blessing? If circumstances seem to be going against what we know God has promised, what is our responsibility? Chapter 28, Verse 3. Bless. By this time Isaac had come to clearly understand that Jacob would continue the Abrahamic Covenant. Verse 13. Land. God confirms to Jacob in a dream that he is the recipient of the covenant made with Abraham, including promise of a land, a seed, and blessing, just like his father and grandfather before him. Chapter 29, Verse 17. Weak. This probably means that Leah’s eyes were dull rather than brilliant and sparkling. Verse 28. Gave. It appears that Laban gave Rachel to Jacob immediately following the week long celebration of his marriage to Leah, before the seven years of additional labor. Those who deceive will often themselves be deceived. It is fitting, and generally a biblical principle, that sins committed often come back around to those who commit them. Yet despite Jacob’s sin and the temporal consequences he received, God did not abandon his unconditional promises to him and to his descendants. Why do you think Laban deceived Jacob and gave him Leah instead of Rachel? What does Jacob’s willingness to work seven more years reveal about his love for Rachel? Did Jacob deserve to receive God’s blessing and covenant? Chapter 30, Verse 1. Lest I Die. In ancient Near Eastern culture, a childless woman was considered worthless. Verse 3. On my knees (some translations). A surrogate giving birth while sitting on the knees of the wife symbolized that she was giving birth on behalf of the wife. Verse 37. Sticks. An experienced herdsman, Jacob apparently had skill in selective breeding, and also knew if he placed certain sticks that had been peeled into the drinking water of the sheep he wanted to breed, it would release a chemical that stimulated them to mate. 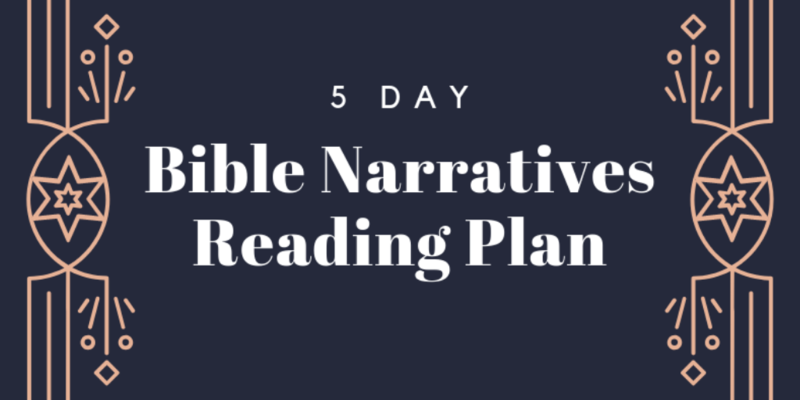 The story of Jacob bearing many children through three women and amid much controversy is a prime example of God using bad circumstances to actually accomplish his plan and keep his promises. God had promised Abraham, Isaac, and Jacob many descendants, and he begins to fulfill this promise by giving Jacob many children through a situation that was actually the result of Jacob’s sin. On the basis of this story, do you think it is good for a man to have more than one wife? What does the story of Jacob and the sheep reveal about the relationship between God’s sovereignty and human responsibility? What can this story teach us about the relationship between consequences of sinful action and the good promises of God? Verse 11. Angel of God. This is the same as the Angel of the Lord, likely a preincarnate appearance of Christ. Verse 19. Household Gods. It is possible that Rachel stole these so that Jacob would be considered the head of the household after Laban’s death and would receive the family inheritance. Verse 53. Fear of His Father Isaac. This was a specific title for the true God of Abraham, Isaac, and Jacob (see also v. 42). Jacob uses this official name to distinguish his God from the god by which Laban swore. Once again, God protects his chosen people despite their sins and deceptions, even intervening and speaking to an unbeliever in order to accomplish his purposes. God will always keep his promises and always protect his people, regardless of the circumstances. How important were the household idols to Laban? Why? In what ways does deception continue to be a problem for Jacob? How does God demonstrate his sovereign care for his people in this story?